If you’ve been injured in a car crash, there exist a number of factors that impact the amount of compensation you may obtain through settlement with an insurance company or in court. 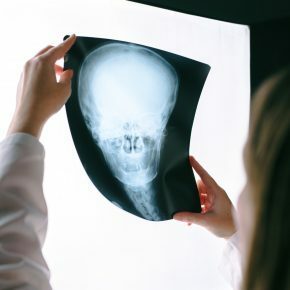 You may be eligible to receive compensation for the medical bills you incur to treat any harm you sustained, and can claim compensation to reimburse you for the payment you lost if you were unable to work. Plus, the legal concept of pain and suffering may allow you to recover additional amounts. A personal injury lawyer can tell you more about claiming pain and suffering after an Ohio auto accident, but overall info may help answer some of your questions. Economic Damages: These damages include bills for your medical treatment and lost wages if you’re unable to work because of your injuries. They’re economic in nature because they are quantifiable amounts, which can be ascertained by looking at your medical bills and pay stubs. Non-Economic Damages: These consist of losses of a more intangible nature, because their price tag is more difficult to calculate. Pain and suffering falls remains within this classification because it’s difficult to decide a level of pain or level of enjoyment of your life. Are there any limitations on the amount I can receive for pain and suffering? There is an Ohio state law that puts a cap on what you can recover for non-economic damages. The statutory cap on pain and suffering is $250,000 or three times your economic losses, whichever is greater, in cases involving non-catastrophic injuries. The maximum you can receive for non-economic damages is $350,000, or $500,000 in some circumstances. There is no cap on your non-economic loss if your injury qualifies as a catastrophic injury or death under Ohio law.As you can see, it’s quite difficult to establish your right to compensation for pain and suffering after sustaining injuries in an Ohio car accident. Without a legal background, you’re at a disadvantage in understanding how damages work and proving the details of your case. A skilled personal injury attorney will help ensure you obtain the full amount of compensation for pain and suffering to which you are entitled. 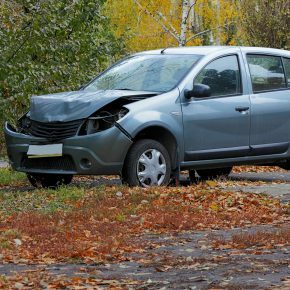 For more information on claiming damages for your losses after a car crash or to schedule a consultation, please contact the Toledo office of Lafferty, Gallagher & Scott, LLC.